There’s no denying that my favorite state to hunt big whitetails is Illinois. I spend a ton of time there each year, and just because I’ve had luck in the past doesn’t mean that every year is a slam-dunk. I like to bring my parents with me on a couple hunts a year, and we’ve made it a family tradition to spend one of the gun seasons together in Illinois. 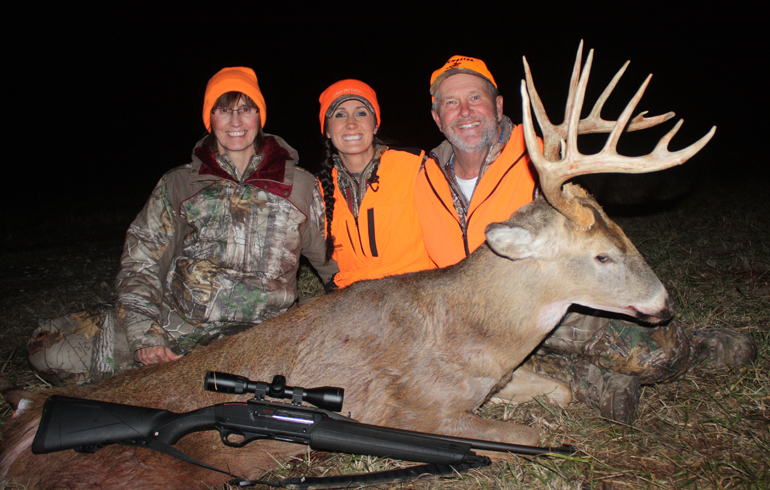 It’s a great camp with fun people at Golden Triangle Whitetail, plus the hunting is amazing. 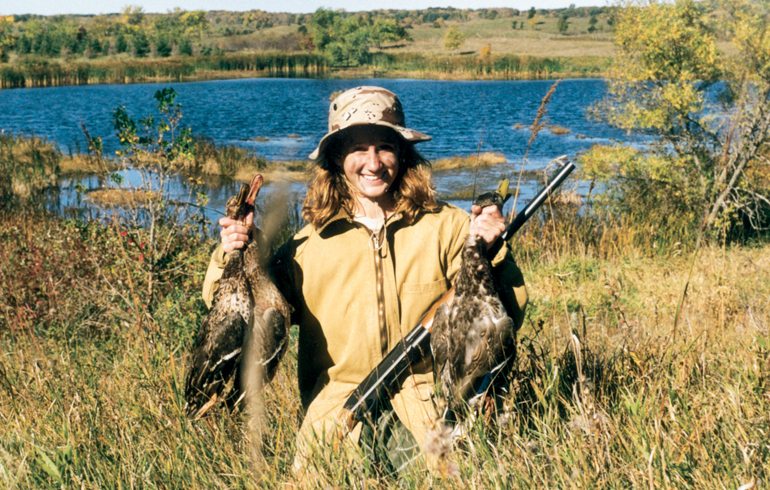 This year, my mom dad, and I were all hunting the same farm so we were able to ride back and forth together each day and spend even more time together. I travel a little over 300 days a year so anytime I can do things with family I usually try to savor the moments. On this particular hunt we ran into extremely warm weather. The deer were just not moving like they should. I tried everything. I sat on a corn food plot, over beans, in the woods, but in the end I passed a young 12-point buck and didn’t fill my tag. My dad on the other hand ran into some incredible luck. He was hunting one of the new sets we hung with a Field & Stream ladder stand. It was over a corn food plot and shortly after getting on stand a few days into the hunt he spotted a nice buck in the distance. He had been seeing quite a few deer the entire time and decided this was a buck he’d like to take. He made a perfect shot with his Winchester SX3 and dropped this buck right on the field. When we came to pick him up he was excited, but I don’t think he realized just how big this buck really was! It was an incredible deer and I was so happy for him. Last year my mom shot her biggest buck to date and now this year it was my dad’s turn. 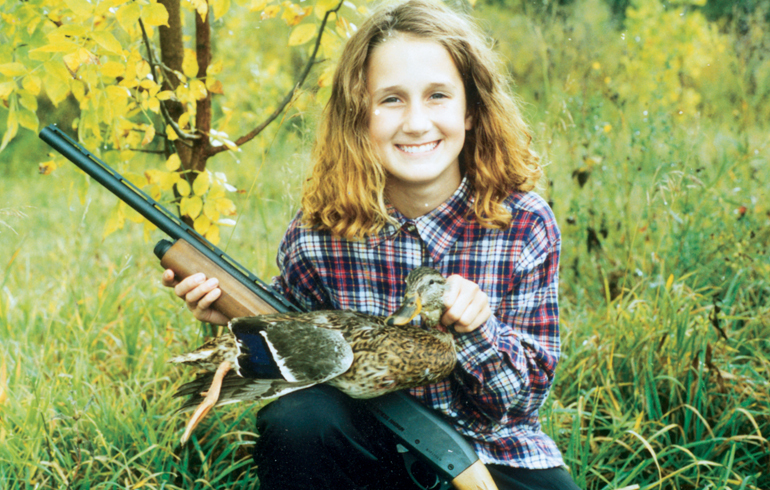 Growing up we all slug hunted together in Minnesota. Though I don’t get to go back home to hunt much anymore, it was truly a wonderful family experience to hunt together and cheer each other on. I’ve shot plenty of big bucks in Illinois and even though I still love it, what I really enjoy is seeing people smiling, laughing, and enjoying everything hunting has to offer. The smile on my dad’s face was priceless and I was so proud of him. He’s an incredible hunter and has taught me so much through the years; not only with hunting but with everything. He and my mom have been huge supporters of everything I do and without that, I couldn’t be half as strong as I am today. 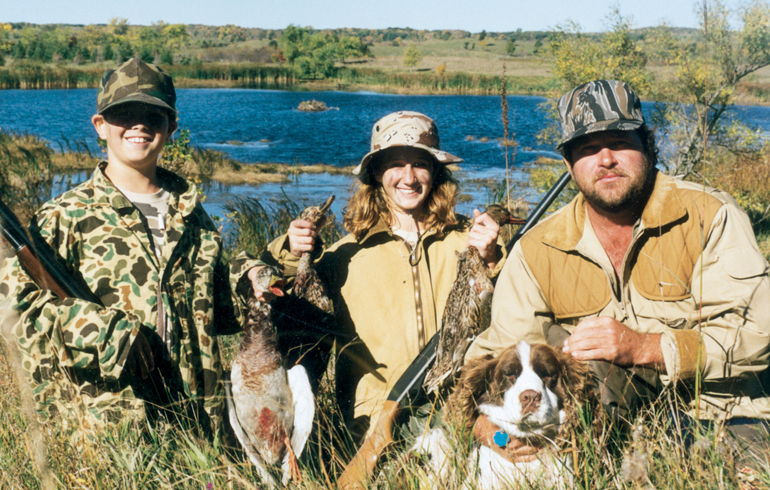 Ever since I was a little kid my family hunted together. Now I’m just trying to re-pay the favor of my mom and dad taking so much time to bring my brother and I along at all times. So far, so good!